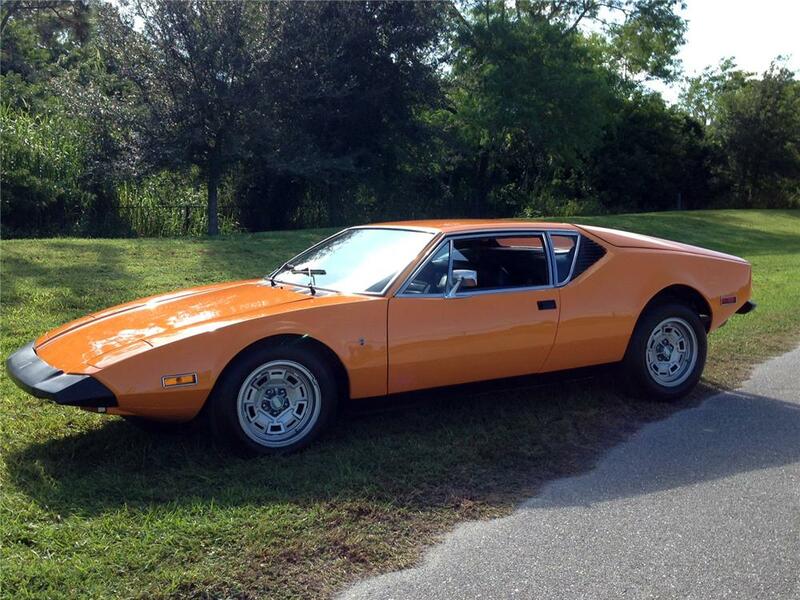 I am trying to find out if my chassis # for my 1974 Orange Pantera is period correct. I'd be glad to assist, but I have no idea what you mean by a "period correct" chassis. Can you be more precise about what information you are seeking? Also, are you sure your VIN's last four digits are 8735? 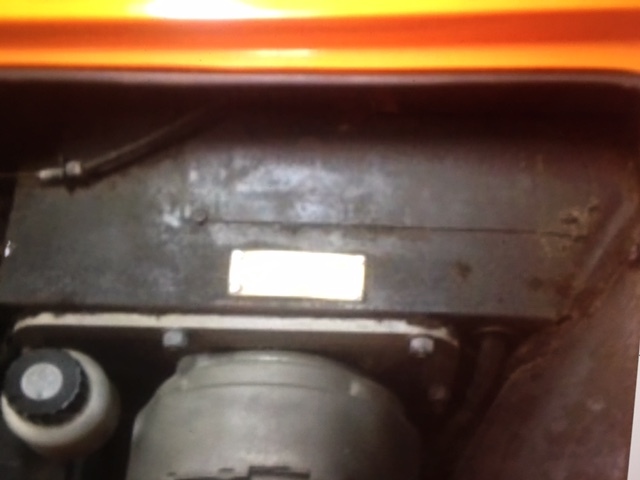 Or perhaps that is the engine block #? Your VIN should read THPNXX0XXXX. DeTomaso made a jump in chassis numbering between the last Vignale coach, 7554 (? ), and the first Maggiora coach, 9001. Bill Van Ess, an esteemed historian of the DeTomaso marque, claims the Pantera with chassis 9001 was assembled on June 13, 1976. One odd-ball Pantera has a chassis number that falls within the gap in the chassis numbers, a group 3 Pantera with chassis 8472. There are pictures in ProvaMo (none of the VIN plate or footbox or dash tag, though). Obviously a Late L-Model with the single pod dash. There were no "original" chassis in the 8000 range. The last Vignale coach known to me was numbered 7554. That coach was manufactured in 1974, but the car assembled with that coach wasn't assembled until 1976. The first Maggiora coach was numbered 9001, it was also assembled in 1976. Chassis with numbers in the 8000 range are known in each case to have been re-numbered by the factory after 1976. What the factory's reasoning for re-numbering was ... we don't have documentation. We suspect it may have been an upgrade from one model to another. Chuck Melton the registrar is the only person who may have new information on this subject. Did you see the pictures of the tags? What is your thought? The Pantera was assembled in two steps. The chassis were built in Turin Italy at the Vignale coachworks. That build date was encoded into the VIN number and stamped on the coach. The coaches were trucked to Modena Italy for final assembly, where the drive train, suspension, brakes and steering were installed. 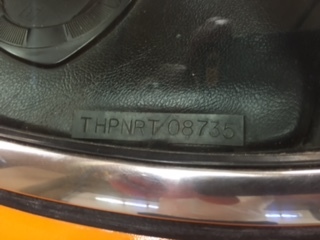 The date of final assembly was attached to the driver's door with a riveted tag. During the Ford production years the "final assembly" date was usually about a month after the date the coach was assembled (the VIN date). During the "Post Ford" years the final assembly could have taken place months or years after the date the coach was assembled. The Pantera with the highest chassis number manufactured for North America, and imported by Ford, is #7380. This is very well documented. Vignale stopped manufacturing Pantera coaches in August of 1974. We know that De Tomaso acquired about 150 to 200 left-over chassis from Ford/Vignale afterwards. The build-dates of these coaches are coded THPNPU or THPNPM. That's the date encoded in the VIN, not the date on the door. 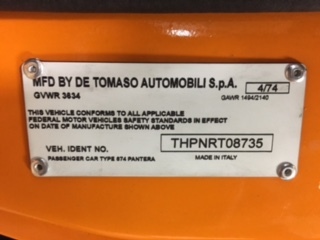 Notice THPNRT is not a 1974 build date, and was never stamped into the coach of any Pantera built at Vignale ... not originally anyway. So you see, 7580 (7380 + 200) is approximately the highest possible chassis number originally manufactured at Vignale. The highest numbered chassis actually known to me is #7554. So far none of this explains the 8000 series VIN number, nor the "RT" build date of the coach. None of this jibes with the 4/74 build date on the door tag either. Final assembly in April 1974 should have a chassis VIN in the range of THPNNE06900. Panteras with chassis numbers greater than 7380 were slowly assembled by De Tomaso after August 1974. They ran-out of spare chassis in the early months of 1976. The first non-Vignale chassis, manufactured by Maggiora, was #9001, circa mid-1976. All Panteras with chassis numbers in the 8000 range have been re-numbered at some time in the past. Ask Chuck for his experience in the matter. George, I thank you for your detailed response. I have reached out to Chuck to begin the research on the life of Chassis #8735. Brian, what do the rear wheel houses look like in the engine compartment? Are they rounded one piece stampings, or are they squared-off with sharp creases and sharp corners? By the way, the chassis' original VIN should be stamped on top of the driver foot box in the front boot. Hey guys, I am researching a Pantera I bought at Barrett Jackson VIN - THPNRT08735. I was following the blog up to the point where the factory renumbered vehicles with an 8000 build sequence. Then the conversation went to the green custom vehicle and the car being totaled. The car I own is 1974, orange clean looking car. I've owned a few Panteras and feel this car is clean and original as the title states, 21,000 miles. Please provide any information or direction privately. How about answering my last question about the rear wheel houses? If the VIN number on the footbox is visible please post a picture of it here. I would also enjoy learning what you learned from Chuck Melton ... if anything? I believe I stated in early messages that I have owned three Panteras and am very familiar with the cars. In the previous messages I stated the car is very straight and original with 21k miles. I don't understand why you would ask if the fenders are squared? Am I missing something? Yes, of course the fenders are rounded. And no I have learned nothing yet from ProvaMo, but I am in communication with Chuck who has asked some very good questions. The only two issue I have, are that the plate over the foot well looks different then a normal plate and that the VIN is in the 8000s. The rest of the car is original, and correcrt. I have received no help or good information from the blog and the club to date. Again, I am working with Chuck and have just now started to see some progress. This car is out of the ordinary, if it were in the normal sequence we wouldn't be discussing it. I am looking for someone that might know about the "one offs", the cars that may have been directly imported, renumbered, or a European car titled in the US. I am in search of someone that may know about the "UNIQUE" few occasions a car was imported, shipped, sold or brought to the US. George wasn't asking about the fenders. He was asking about the wheel houses. 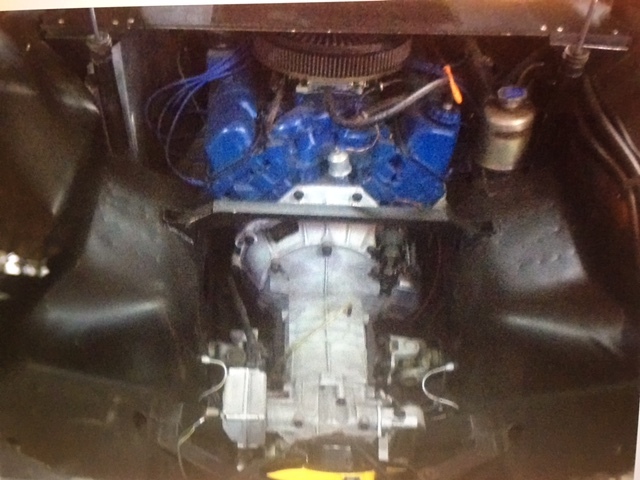 IE: Open the rear hatch and take a picture of the engine compartment with the trunk tub OUT. The difference between rounded and angular gives a good clue on when it was built. Posting pictures on this site is very easy. How do you think all the pictures on the site got here? Sorry for the snippy response but your's was that way to people only trying to help you. We don't know who you are or how knowledgeable you are. I know plenty of people that have owned 3 Pantera's that couldn't or shouldn't work on their own cars so just because you have owned 3 doesn't mean we know your knowledge level. I don't understand why you would ask if the fenders are squared? George did not ask that. "...what do the wheel houses look like in the engine compartment? Are they rounded one piece stampings, or are they squared-off with sharp creases and sharp corners?" It is going to be hard to help you if your reading comprehension skills prevent you from clearly understanding what we write. "Please provide any information or direction privately." The subject of your uncommon VIN is of interest to all of us. Taking this thread to private messages deprives The Family of the opportunity to gain knowledge, spark memories, and keep the thread updated and archivally available for future readers. As for photos, yes it is a pain to have to resize them to less than 300KB. A work-around is to upload your photos to a photo-sharing website and post URL links to those individual photos in your postings to this forum. We are trying to help you here. Please work with us, not against us. My MS software came with "Office Picture Manager" which easily converts photos to Forum friendly size. Brian my intentions are always to be helpful. Never to insult or embarrass you, or give you any reason to be defensive. The Panteras built after the Vignale coaches ran-out, beginning with chassis #9001, had squared-off rear wheelhouses. The reason for my question is that the first 100 of those Panteras, with coaches built by Maggiora, were the subject of a recall. It occurs to me that some owners may find their car being the subject of a recall a reason for wanting to re-number it. 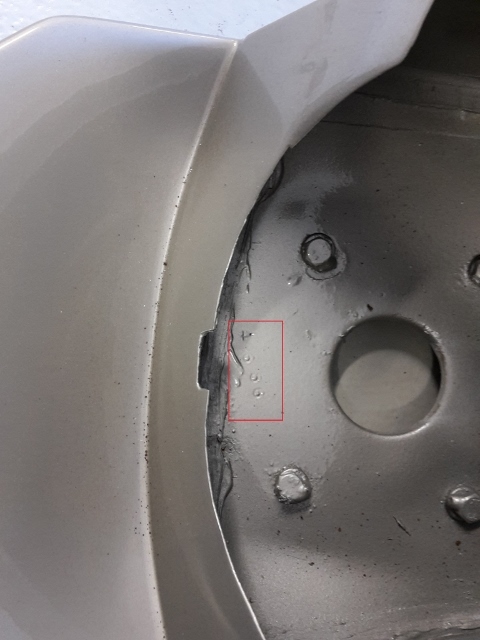 My reason for wanting a picture of the VIN plate on the foot box, is to determine if its the type that has a window cut-out of it, making the VIN stamped into the chassis visible, or if it is a solid plate with the VIN stamped into the plate itself. My guess is that the VIN plate is the solid type, hiding what lies below. If that's the case, and it were my car, I would remove the plate to see what the number on the chassis below the plate actually is. 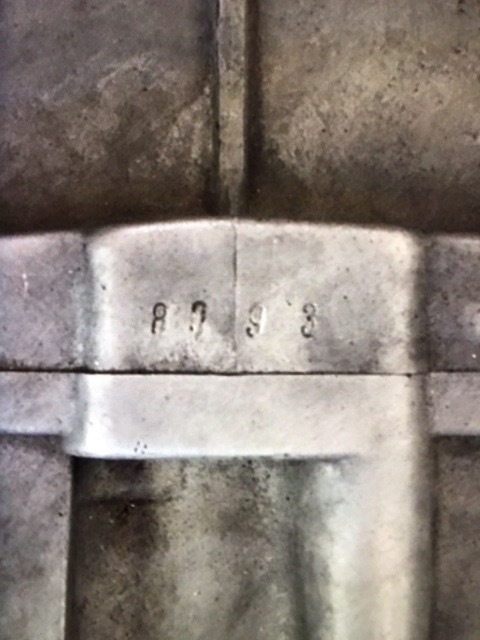 There's a chance the original number has been brazed-in to eliminate it, and even a possibility a new number has been stamped into the chassis where the original number was, but there's only one way to find out. I agree this is an interesting and important subject to all pantera owners. I am curious as to why you would want to keep it secret and then get defensive? This in illogical to me. Take a look at the wheels. I am sorry that I seem defensive, as I am not. I am extremely frustrated with being initidated with responses that are obvious. After reading all the responses let's digress and stop with the insulting exchange. I first will apologize to the group for my sharp responses! So we can establish a baseline I will give u a summary of my background and knowledge level. As I stated in previous messages, I have owned 3-Panteras, to which I have performed most of the work myself. I am not only a Pantera enthusiast, but love the styling of Old English cars...... I have personally performed ground up restorations on three Austin Healy 3000s, one MGA, and have fixed and sold more than 50 other classics. I have other restoration projects under way as we speak. So I am capable of welding, and completely disssemblying and re-assembling cars. I typically leave rebuilding engines and trannys to the experts, but have done both in the past. That being said, I know my way around a car, and vehicle ID plates. I already know this Pantera has an unusual plate over the footwell, and is missing the plate on the rear inside fender well. The ID plates on the dash and in the door look authentic, with the one on the door having engraved letters on the ID plate. It is not an aftermarket printed plate. The bumpers have shocks and are not bolted on, which I understand would make it a US car. The wheels on the car are believe to be incorrect as we all know they are very early single slot Campys. However, I will reserve my opinion on whether they are factory as this car may be a left over pieced-together car assembled in Italy after Ford pulled the plug. this car does in fact have a flat plate tack welded in place over the footwell. Ford and the European models produced with the 9000 series. car has the rounded fenders it is a Vignale? If there is something I have missed, please add constructive comments. Again, I apologize for my short, sharp responses. I was frustrated in the process. Please know I appreciate the insightfulness of the group. We will find out the history of this car. Does anyone know the process for researching a VIN in PA? Prior to my ownership, the car was last known to be titled there. Sorry, I had to dumb this down so far I hope you can make it out. Footwell zoomed out and the rear wheel wells. The car is definitely an L model body, manufactured at the Vignale plant, and appears to be a car originally intended for sale in North America. Its not likely the single slot Campys are original to the car, but stranger things have happened. 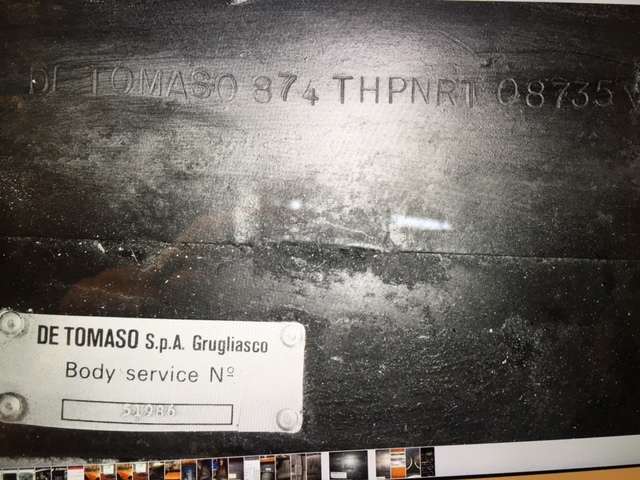 The body service number and trans number would indicate the car originally had a chassis number of about 6300. I like the color by the way, Panteras look sharp in orange. I've always been under the impression only the factory renumbered the chassis. That would mean the car has been to Italy sometime in the past. Or perhaps as you mentioned, the car was renumbered before it was sold new ... and then exported to the US as a custom order. That seems like the most likely case. Knowing the original VIN may put you on the path of a previous owner ... or it may simply prove this was a left-over coach in which final assembly took place in the "Post Ford Era". I don't know how hard it would be to remove the foot well plate with the VIN stamped into it, but you know the original number will be below that plate. I wonder if it would be possible to read the original VIN from inside the car, looking up at top of the foot well from inside with an inspection light & a mirror? Santiago De Tomaso may be your only source for unravelling the cars history. We are on the same page.....it is my understanding that the car sat in a storage container for some time in Pennsylvania. 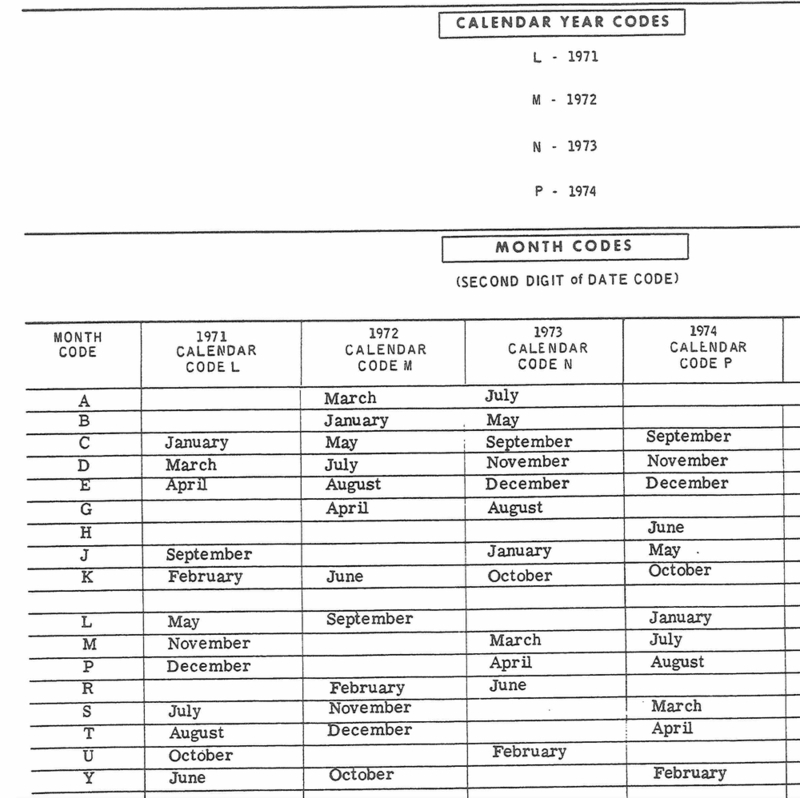 So, if anyone knows how to get the history of the car from PA DMV, I'll start by chasing the car in Pennsylvania. I think, I could drill the welds out and retack the plate back on, as I have a great little Mig welder...... If you all think I will find a number under it and that I won't damage anything in the footwell. Have any of younheardof the Marti Report? I. He Jed with them and they will look up the origination of a Ford product, which includes Panteras. The obvious problem was this car was not imported by Ford, so they couldn't find it. Pennsylvania has a "Right To Know Law", which covers informational requests of govt. agencies. You should find out what is available and request it, although likely it would not include former owner's personal info. Sorry about the auto correct....... Will try and proof in the future. Ha, that first sentence was yikes! Removing the new VIN plate to expose the original foot box stamping might be the only definitive way to know the prior VIN#, but many of the parts also have the last 3 digits of the VIN stamped on them for the factory to keep track of which fitted parts went where. The underside of the headlight buckets is one place a three digit number can usually be found. That's a good idea Julian! I sorted/plotted the BSN from Chuck's. Could you provide the Motor Number? I'll work on it tomorrow. Here i found the number on my car. inside the bucket.